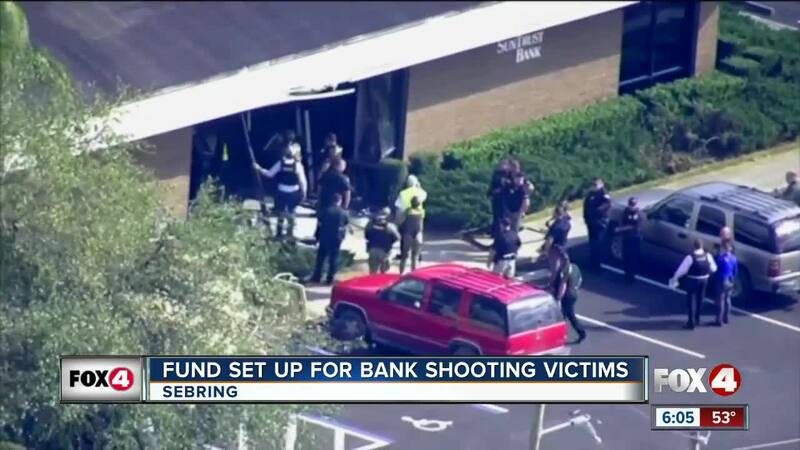 SEBRING, Fla. (AP) - SunTrust has established a fund to offer financial support to the families of five women slain at a Florida bank branch. In a statement Monday, SunTrust Chairman and CEO Bill Rogers said the outpouring of support for the victims' families "has demonstrated the best of humanity in a time of tragedy." The Sebring Strong Survivors Fund is a partnership between the SunTrust Foundation and the National Compassion Fund, a subsidiary of the National Center for Victims of Crime. Four SunTrust employees and a customer were killed in the Sebring bank's lobby Wednesday. Police have said 21-year-old Zephen Xaver shot the women in an apparently random act of violence. Prosecutors could seek the death penalty for Xaver, who faces five counts of premeditated murder.